Great location in Town of Grand Chute on dead end road. Low propery taxes. 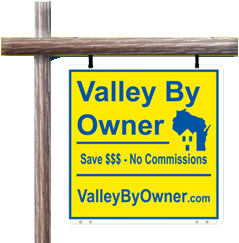 Just minutes away from highway, Timber Rattler stadium, bike and walking trails, Casaloma conservatory, shopping and the new Fox Cities Champion Stadium. Beautifully updated 3 bedroom 2 bath ranch located on a .69 acre lot with landscaping and park like yard across from a horse ranch. Enjoy a relaxing spa like bathroom with extra large whirlpool tub with all tile shower and heated floors. Partially finished basement with tons of storage. Triple pane windows throughout. All new flooring and carpet on entire first floor. Textured and painted walls for a modern look. Underground pet fence around entire lot. Large 3+ garage with extra work area. 32x28 ft total. A must see! Please call 920-540-5753 with any inquiries! One Owner Ranch on Cul de sac.